Wine: The oldest winery in the Alentejo, Mouchão is as traditional as it gets, down to being run by the same family since its founding as a winery in 1901. The Reynolds family came to Alentejo to get into the cork business, then moved to olive growing/pressing (which they still do) and finally to wine making. There are stunning cork oak trees in the middle of the vineyards, from which cork is harvested every 9 years. They produce 6 still wines, 2 fortified and 2 brandies and are famous for their namesake wine made from alicante bouschet, a grape that is a cross between petit bouschet and grenache. Alicante bouschet, though cultivated in France, thrives in the clay soils of Mouchão and in the arid climate of the Alentejo to produce rich, lush, fruity wines with a tannic edge from the grape's thick skins. 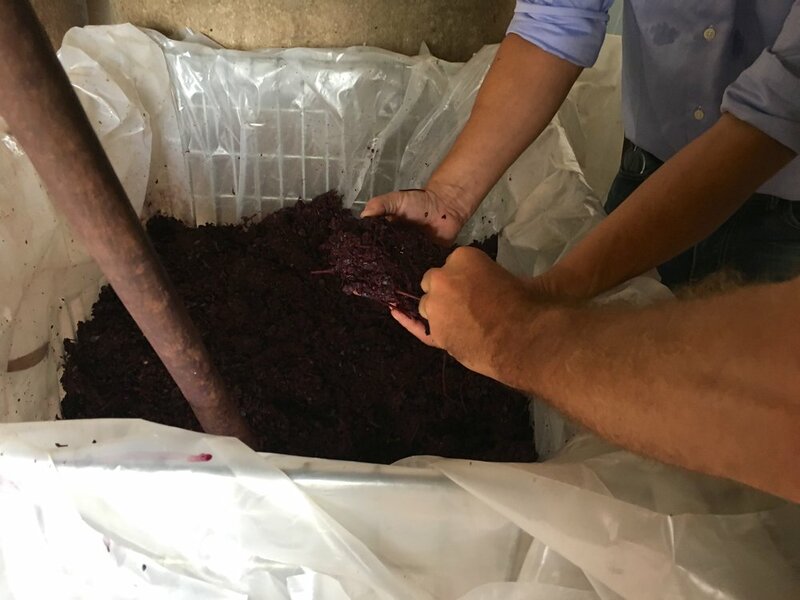 All wines are hand-harvested. For their reds, they do not de-stem. The grapes are transferred to indoor "lagares," large square pits usually made of cement, but at Mouchão it's marble since there are quarries right down the road in Estremoz. In the lagares, the grapes are foot-trodden for about a week during maceration and fermentation. Grapes are then pressed in the original 1901 presses! For the whites, they de-stem and then ferment at low temps in stainless steel to preserve freshness and aromas, a key step since it is very hot in Alentejo (temps can exceed 100 F for weeks on end during the summer). Tasting of 5 wines : 1. 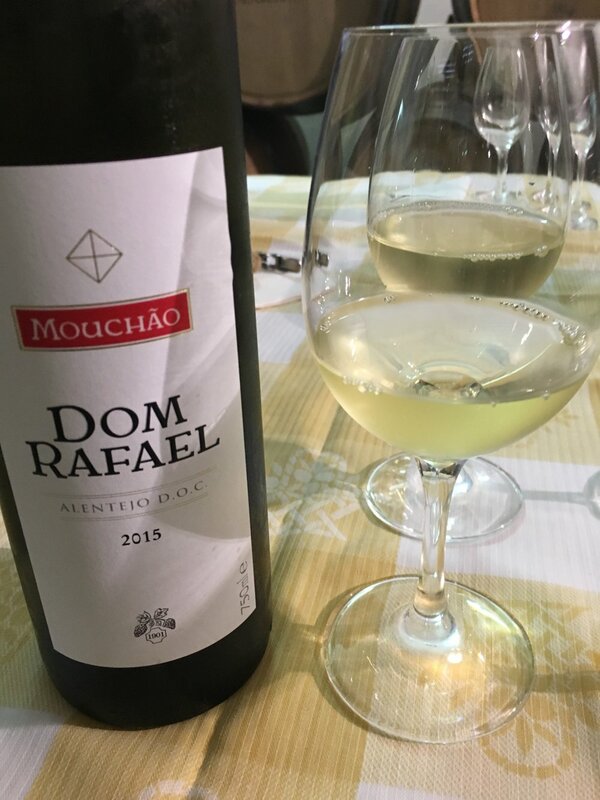 Dom Rafael 2015 Branco blend of antão vaz, arinto, perrum & fernão pires (citrus, tropical, light & fresh). 2. Dom Rafael 2013 Tinto blend of alicante bouschet, trincadeira & aragonez (damson plum jam, wood spice). 3. Ponte das Canas 2012 Tinto blend of alicante bouschet, touriga nacional, touriga franca & shiraz (black fruits, dark chocolate, subtle cigar box). 4. Mouchão 2011 (ripe blackberry, herbs de provence, tobacco, meaty). 5. Vinho Licoroso 2011 (only alicante bouschet - like a spicy port!). My take: A visit to this estate combines everything I love about wine: Fascinating history, geology lesson, climate issues, cool people, a beautiful setting and great wine that is "of a place." In the cellar, you can see a barrel marked "cooprativa" from when the winery was taken over and converted to a collective farm by the new government after the 1974 leftist military coup (25th of April / Carnation Revolution). The property was finally returned to the Reynolds/Richardsons many years later. Simply wonderful! More about Herdade do Mouchão. Wine: One of the best-known and respected producers in the Douro, the winery is in a spectacular setting. The drive (approaching from the north or also from Pinhao to the east) through villages and vineyards perched along the mountain valleys is stunning. The tasting includes 5 wines: White blend, red blend, superior red blend, Roquette & Cazes red blend (partnership with a French winemaker) and a ruby port. Tastings occur in the living room of the main house, which adds a very comfortable, homey feeling that is rare especially at a winery of this size. Blending is very common in Douro although many producers make single varietals now too. Crasto white: gouveio, viosinho and rabigato. Crasto red: Tinta roriz (tempranillo), touriga franca, touriga nacional, tinta barroca. Superior blend: Touriga Nacional, Touriga Franca, Tinta Roriz, Souzão, plus some field blend! R & C blend: 60% Touriga Nacional, 15% Touriga Franca and 25% Tinta Roriz. Ruby Port: (60+yr-vines) 60% Touriga Nacional, 15% Touriga Franca and 25% Tinta Roriz. Wine: The benchmark winery of Barraida. Excellent wines based on baga, the traditional local red grape, as well as other permitted DOC red/white grapes. Baga are small, thick-skinned and grow best in clay soils, which is what Barraida is famous for. The grapes make high tannin, high concentration and high acid wines with dark fruits, coffee, tobacco and smoke aromas/flavors. An analogue is cabernet sauvignon in Bordeaux, and Barraida also has a similar maritime climate. For the Vinhas Velhas (old vines) reds they make a first pass through the vineyards to pick grapes for their lovely "blanc de noir" sparkling wines. The remaining grapes get longer "hang time" to ripen and further concentrate. Tastings are really fun here as you get to try the current releases from specific vineyard sites and vintages plus library (older years) wines to get a sense of how the wines age for both whites and reds. White Vinhas Velhas are a blend of bical, cerceal and sercialinho and some single varietal bottlings of Maria Gomez (aromatic and similar to viognier, rousanne or torrontes). Luis now works with his daughter, Filipa, who also makes great wines! My take: Highly recommended! I respect this region's devotion to its traditional grapes like baga, Maria Gomez (fernão pires), bical, cerceal and sercialinho. The tour is structured to be informative both to newcomers to wine and those who know more. In nice weather the tastings are held on a terrace overlooking a vineyard. The staff are very friendly and know their stuff. Despite being a famous, modern and large(ish) operation, the experience here still feels like you are visiting a smaller, family-run winery and has a relaxed, casual vibe. A good opportunity to get to know Portuguese varietals and how wines age since you get to taste back vintages. You could visit Luis Pato as part of a trip to colorful, seaside (canals!) Aveiro or Coimbra. Or on the way to Dão. More on Luis Pato. Wine: I love these wines. 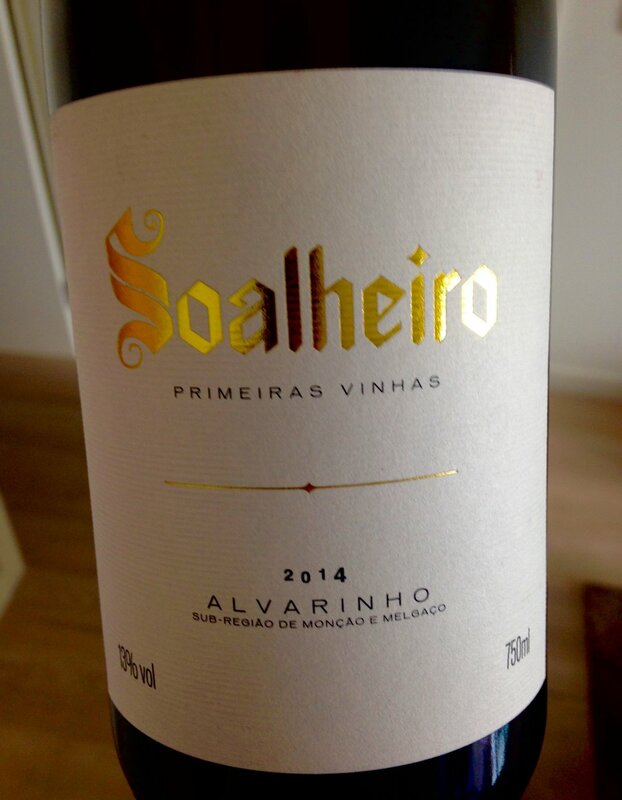 Soalheiro was the first winery to make wines from the alvarinho grape in the region. They make 11 wines, mostly based on alvarinho. My favs are the Alvarinho Primeiras Vinhas and the Alvarinho Reserva (aged in French oak). Food: You can do a wine tour and tasting that includes their house-made sausage made with local pork called Bisara. They have a separate business just down the road called Quinta de Folga where they make sausage and grow a gorgeous organic garden. The sausage was some of the best I've ever tasted. My take: Highly recommended. This was a lovely experience. Down-to-earth, very friendly family. Beautiful facilities in a wonderful landscape. We played with the dog while we tasted the wines, ate the amazing sausage and treats from the garden. More on Soalheiro. 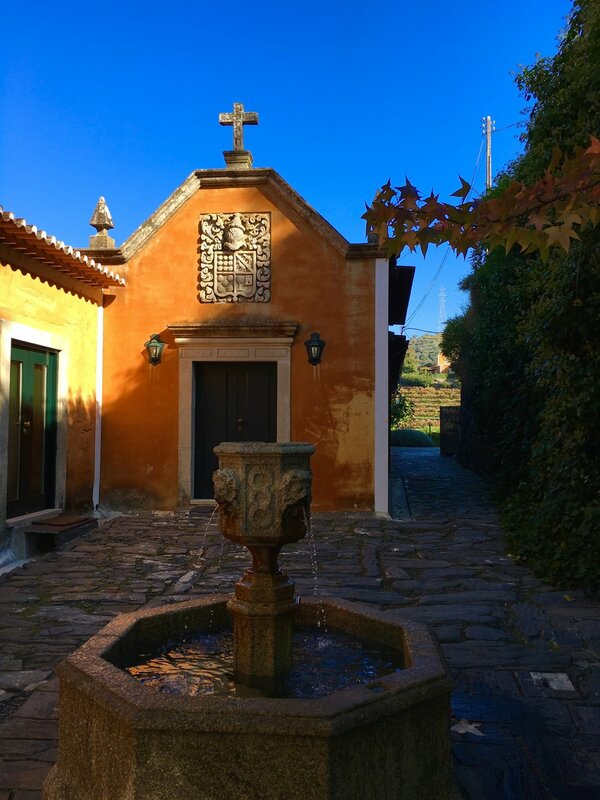 More on Quinta de Folga.